In this post we ‘ll control a relay through GSM by sending message. 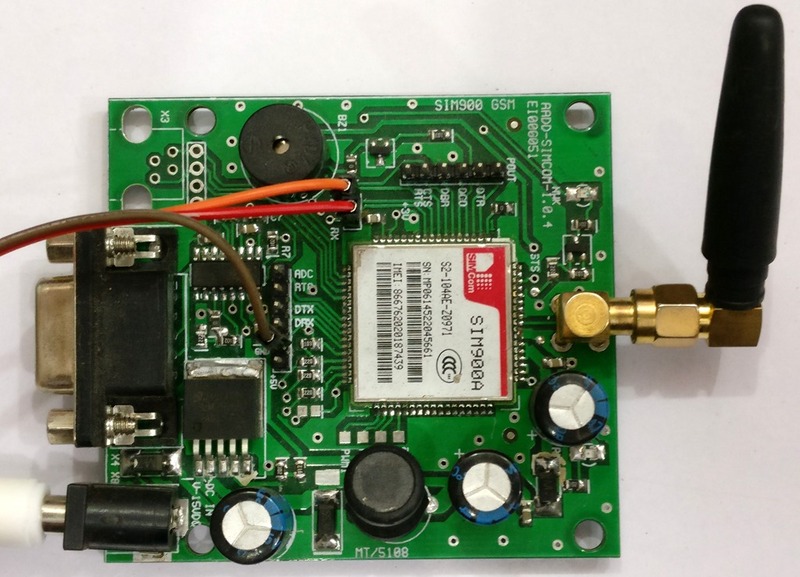 GSM SIM900 board is used in this demo , but you can use SIM800 also. A valid SIM to be inserted in to the slot on GSM board. Do not use 4G SIM like JIO , as the SIM 800 / 900 is 2G /3G enabled. A 1 channel relay board is used which is a 12v relay & needs a HIGH to enable the relay. Note that if you use a relay board with opto coupler , it needs a LOW to switch ON the relay .In this demo we use a 12v , HIGH enable relay which uses a simple NPN transistor to switch ON the relay. i.e from Arduino Digital pin you send a HIGH to switch ON the relay. 12V Adapter is used as power source. 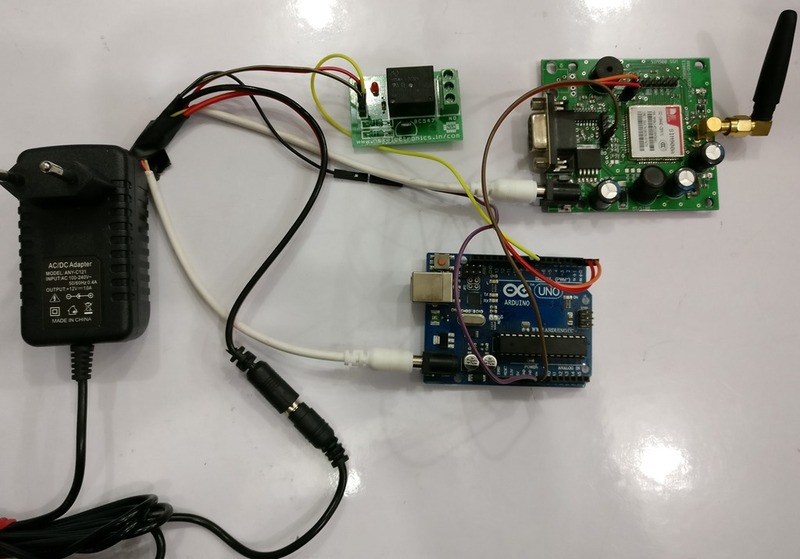 Power socket is provided on GSM & Arduino boards . DC connectors are used to power up GSM & Arduino .As Arduino has 5v regulator on board you can safely use 12v at power socket. 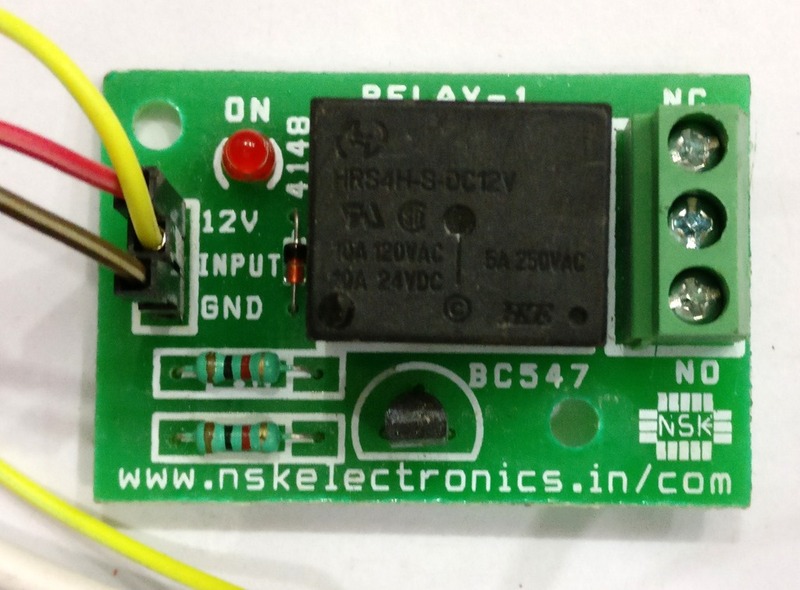 The +ve pin of Relay board is looped with +12v of adapter & -ve to GND of Relay board. Ensure that all GND pins are made common , that of GSM , Arduino & Relay boards. Following is the Arduino code to be uploaded. Remember to disconnect wires at Rx/Tx while uploading code to Arduino. Serial.begin(9600) ; starts Serial communication at baud 9600. This command selects the procedure for message reception from the network. Note: Only <mode>=2 is supported. <mt>: sets the result code indication routing for SMS-DELIVERs. Default is 0. 0: No SMS-DELIVER indications are routed. 2: SMS-DELIVERs (except class 2 messages) are routed using unsolicited code: +CMT:……. If the final character is 0 , pin 8 is made LOW , thus making the relay OFF. 3. Pump starter can be made ON / OFF by using 2 relays .One relay contact used to START the motor & other to STOP .While connected with STARTER we need to momentarily switch ON / OFF the relays. This is similar to manually pressing the START or STOP button of the motor starter. hello can you combine both led on/off and sms location incase of tracking?